External links open a new window and may install cookies on your computer. For more information on cookies and this website, click here. 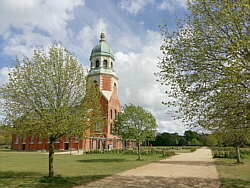 Photo: Royal Victoria Country Park, Chapel Tower. Pages in the Walking Routes section include Google Maps. Google Maps install cookies in your browser. You can block or control cookies in your browser settings. For more on cookies and my website, click here. 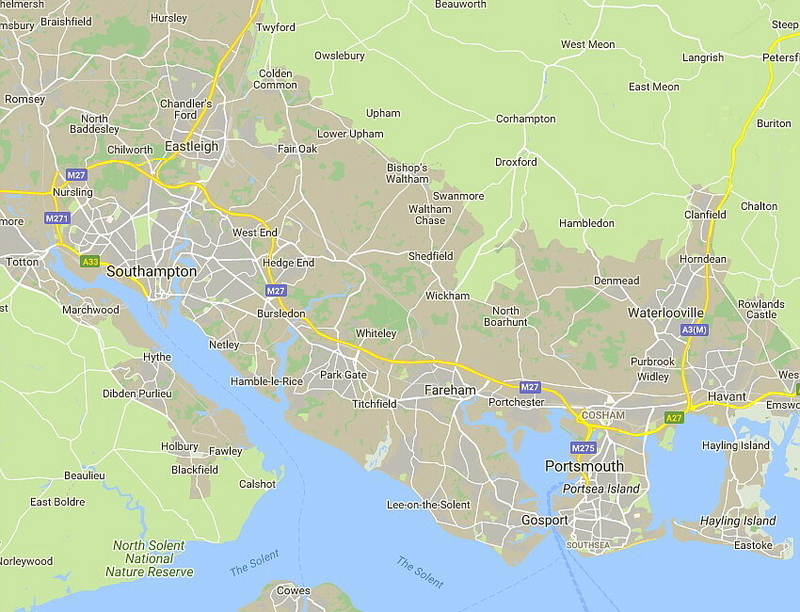 A selection of routes near where I live in Southampton, with distances and information about the places. I enjoy walking and my walks include fast sections on the road and leisurely routes along the shore. Starting and finishing at different places provides variety in distances and types of walk. In these pages I share some of the options I've built up over the years. They are suitable for anything from a steady walk to a run and, except where I go away from the road, can also be used by cyclists. And, of course, you can make up your own routes from these sections. Please look ahead to where you might go next before starting any section. Some walks are easier than others. The map is detailed and easy to use and can automatically follow roads and public footpaths. Google Maps is used widely throughout the Walking Routes pages. Railway Stations - information about and directions from stations along the walking routes. Favourite Routes - a selection of the routes I enjoy the most. Some long, some short . Some fast, some slow. All for the fun of it! Route List - shows the available routes from each Walking Route location and station. Walking Diary - some of the places I've walked for excercise and leisure each year from 2010. All Walking Links - a list of all the external links in the Walking Routes section plus links to transport providers in the area. About - information about these pages, some of it important. I can walk up to 20 miles / 32 kilometres and look for an average of 4.7mph / 7.56km/h on fast sections of route. I can keep up this pace for about ten miles or about sixteen kilometres. A good walk would be something like the ten miles or sixteen kilometres to Warsash fast and then the ferry to Hamble for a more leisurely walk along the shore to Netley. I sometimes catch the train to Bursledon and then take one of several routes fast to Meon Shore or Lee-on-the-Solent followed by Stokes Bay and Gosport. There are other fast routes such as via Park Gate to Titchfield and Warsash or from home to Hedge End, Fair Oak, Eastleigh and back home. I walk regularly throughout the year. Also, I don't drive and walk as a way of getting about generally. I only occasionally catch the bus and often walk to and from the central or airport stations rather than catching the local train. My last job was at the airport train station, a half-hour walk each way. In 2010, I thought it would be interesting to see how far I walked and how fast. Investing in a GPS watch and keeping records gave me the incentive to get out and go further, faster and more often. Now retired, I use brisk walking as a way to stay fit. But I can still enjoy a slow stroll along a beach as well! Why not use the sections of route in these pages to make your own walk or run . . . . .